As usual at The Next Web’s conferences, our Startup Rally is a highlight of the program at our USA event. Today saw the first eight startups pitch their wares in this mobile-themed contest. The competition, supported by Adyen, will continue tomorrow, when the winner will also be announced. For now, take a look at the companies who took the stage today. Billed as a ‘next generation personal assistant’, 24me is an iOS app that allows you to pay bills, set reminders, share tasks and more. Today, the startup unveiled version 2.0 of the app, which features third-party calendar integration. This should make it easier to work 24me into your existing workflow, rather than having to enter data manually into the app. The new version is available later this fall, but you can sign up for information about its launch from the website. 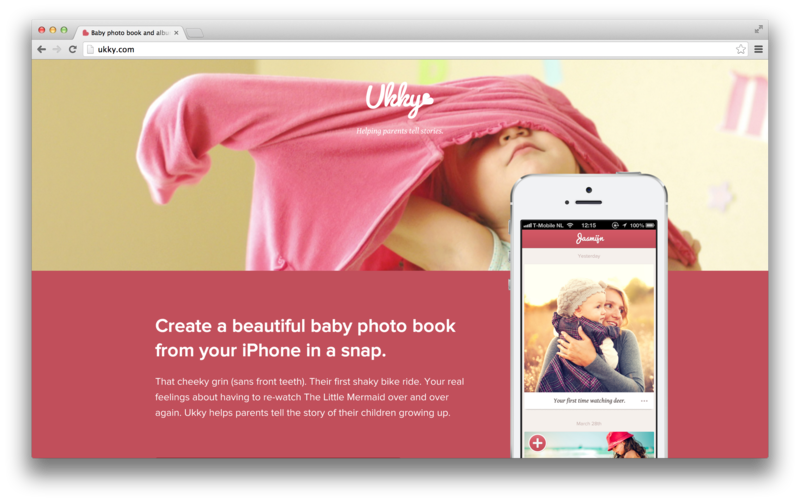 Ukky means ‘little ones’ in Dutch, and this Netherlands-based startup has created an iOS app to help parents tell better visual stories about their children.Photos, videos and notes can be added to the app, and then compiled into a printed book that the company can dispatch worldwide. Pricing is $69 per book, and Ukky can ship worldwide but is focusing on US, UK, Germany and the Netherlands. If there was a prize for ‘most literal name’ in our Mobile Startup Rally, Taxi Startup would win. The company offers a cloud-based dispatch service for taxi companies, helping them launch their own app-based booking services. Now Taxi Startup has launched Chauffy to take on Uber, with a network of black car companies worldwide, operated through Taxi Startup’s platform. By working with existing companies, Taxi Startup hopes it can scale the business effectively on a budget much smaller than Uber’s. 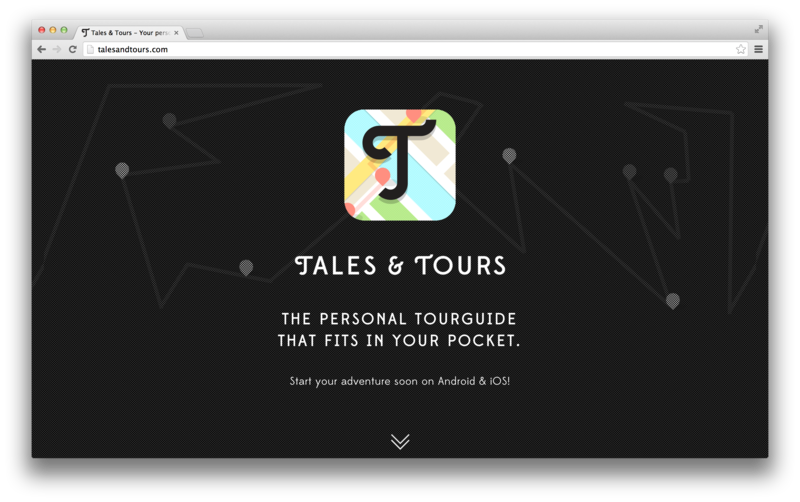 Tales & Tours is an app for iOS and Android that compiles geotagged, audio-based tourist guides for locations round the world so that whenever you’re in a place that’s covered, you’ll have a way of exploring the must-see sights. Building on the work of audio platform Shoudio, this Dutch startup is partnering with guides in cities around the world to offer content that can be offered for free or at a price through the app. New guides will be pre-screened on the site, and users can also rate each one, helping to promote the best content. A recent graduate from New York’s Entrepreneurs Roundtable Accelerator, Admitted.ly’s mission is to help young people get into the right university. The startup is an alternative to private college consultants, who are out of the price range of most people. The platform uses each individual student’s personal circumstances and personality to match it to suitable courses. 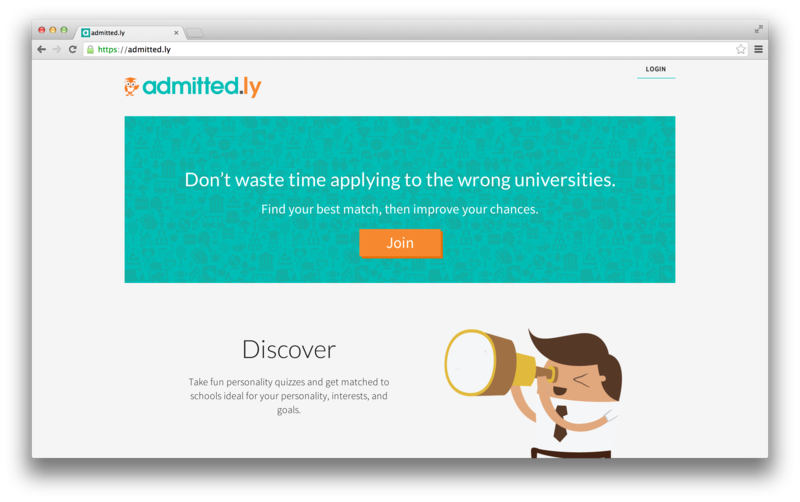 Currently in alpha, Admitted.ly will be onboarding 75,000 students in November. 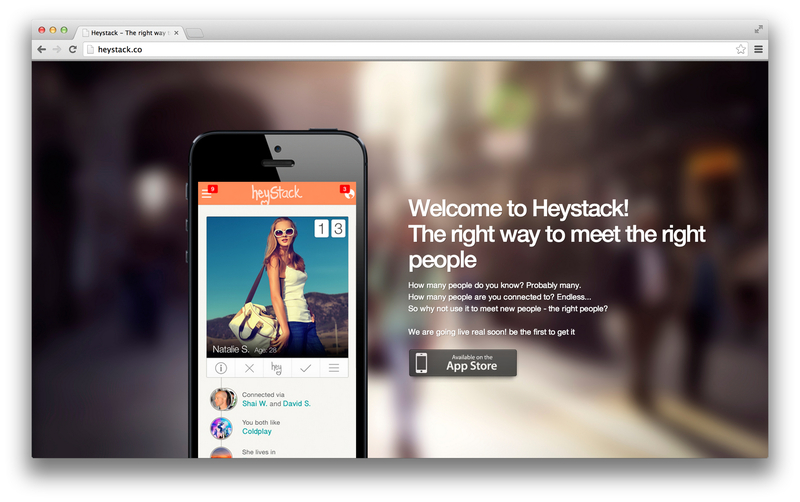 Dating app Heystack uses your second- and third-degree connections to recommend single people who you may be interested in. The app uses your photos and and other media that you have posted to represent you to possible matches and act as conversation starters with them. 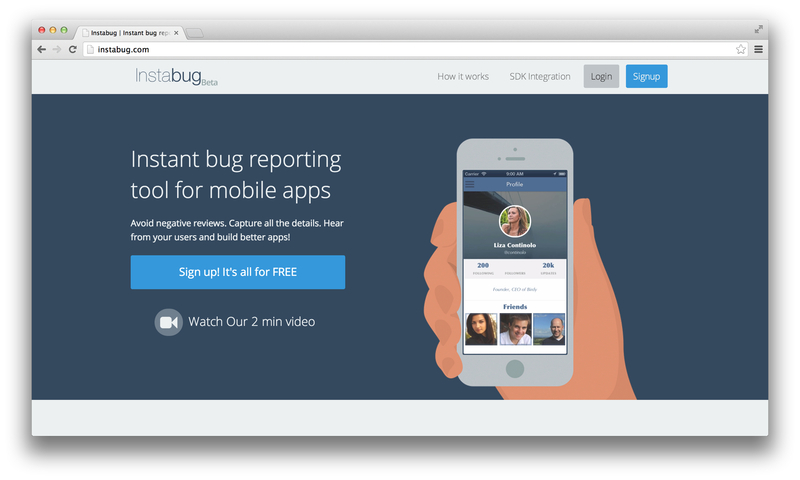 Instabug is an SDK aimed at iOS app developers and their testers. Unlikely other iOS bug reporting tools, which often require annotating screenshots in a separate app. By contrast, Egypt-based Instabug uses a ‘shake to report a bug’ approach. Once the user shakes their device, a screensot is taken, which can be annotated with drawings and text from directly within the app. The user can then go back to using the app, while the developer receives the bug report immediately via a dashboard. 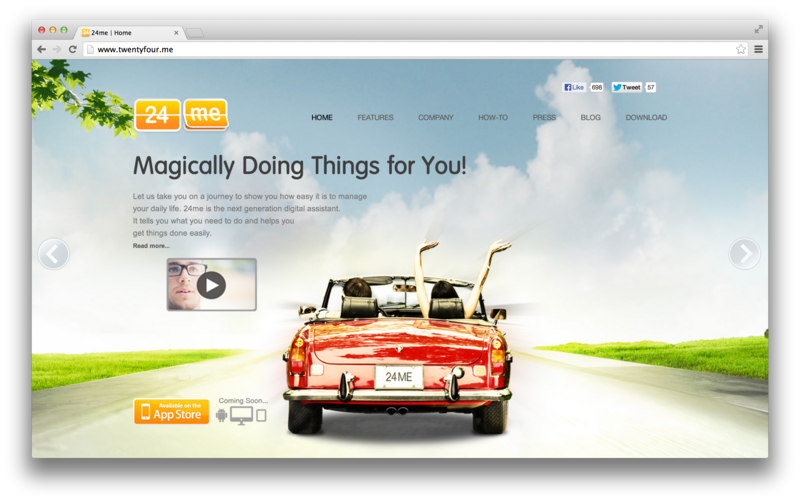 Developers can tweak the appearance of the Instabug interface within their app to better suit its appearance. On stage, Instabug announced support for Android from today. 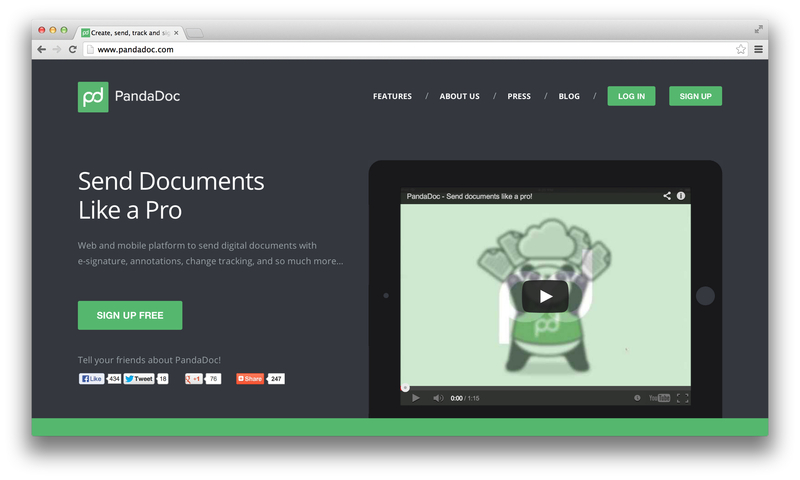 PandaDoc is a Web and mobile platform designed to help businesses send digital documents enriched with an e-signature, annotations and the like. The difference to Docusign here is that PandaDoc is stressing simplicity and ease of use. This service comes from the same company as QuoteRoller. Look out for more coverage of The Next Web Mobile Startup Rally with Adyen tomorrow.